Freebie Friday Wk6 – Winner Announced! 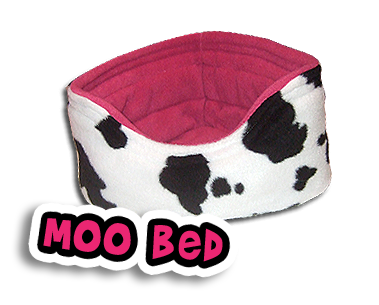 you’ve won the Moo Corner Bed! Thank you to everyone that entered, and don’t forget to keep checking back for your chance to win loads more goodies over the coming weeks! 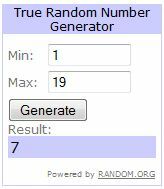 Freebie Friday Wk4 & Wk5 – Winner Announced! you’ve won the Trio of Corner Hammocks! I’m just back from a mini break and have discovered, to my horror, that our last two Freebie Fridays didn’t do as they were told and ran off and hid! Sorry! Freebie Friday will be back to normal from the 4th as I’ll be here to kick start any sluggish automated tasks to make sure they do as they are told! This weeks prize is a warm and practical Love Snug bed, just in time for the cold snap to keep your pets all cosy over the coming months. This Love Snug is lined with luxurious fluffy fleece, and is ideal for Chins because it’s essentially a warm fleecey (and washable!) nest box, which not only affords them the privacy they crave but also a soft and snuggly place to snooze the winter days away. 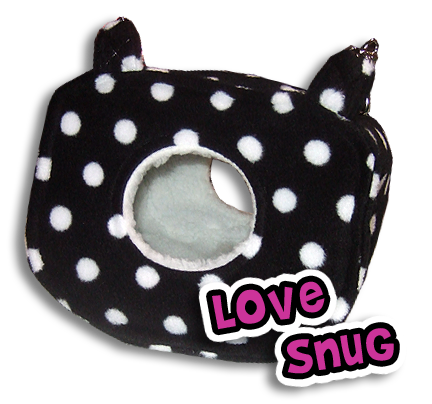 Our Love Snugs are one of our most popular products – offering two snoozing spots, either inside or on top. They are large enough to accommodate a couple of companion animals and with this in mind have both a front and back door for easy entry / exit. All you need to do is leave a comment on this post telling us why your Pet would like to win a Luxury Love Snug. Comments will be closed on Thursday 3rd November at 23:59 GMT and the Winner will be drawn (by Random.org) and announced shortly afterwards. Hurray! It’s come round again! 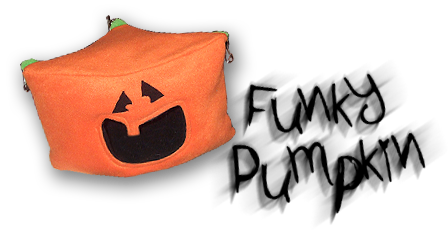 It’s Freebie Day ! 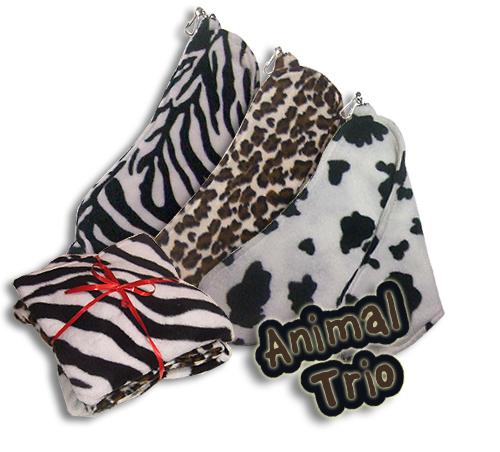 It’s Week 4 in our 12 Weeks of Christmas give-away spree and this weeks prize is a gorgeous trio of Corner Hammocks from our new range of Animal Prints. These themed trio of Corner Hammocks are made from lovely chunky fleece and are suitable for most small animals. It’s always handy to have a few spare hammocks for wash day or even for a bit of Snuggly reassurance on the dreaded vets visits, so why not drop us a comment to be in with a chance to grab some Hammocky Goodness for FREE!! 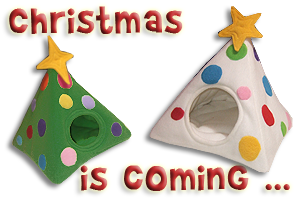 All you need to do is leave a comment on this post telling us why your Pet would like to these funky Corner Hammocks.